Widely considered one of the country’s top privacy and data security lawyers, Tanya Forsheit has advised on high-profile matters involving confidential data and other sensitive information for over 20 years. Ms. Forsheit is Chair of the Privacy & Data Security Group. She has advised on high-profile matters involving confidential data and other sensitive information for over 20 years. She advises on the protection, processing and monetization of data, including matters related to interest-based advertising, privacy policies, mobile apps, cloud computing, smart devices, and data analytics. She has advised on hundreds of information technology deals and transactions on behalf of both service providers and enterprise purchasers, including multilayered AdTech and cloud computing agreements. She is routinely called upon to help clients respond to time-sensitive security events and has advised on hundreds of such incidents. She has assisted dozens of organizations with successful application for EU-US Privacy Shield certification, and is working with numerous multinational clients to prepare for unprecedented changes to privacy practices and programs required by the EU General Data Protection Regulation. In January 2018, she was named by the Daily Journal as one of the top 20 Cyber attorneys in California, and was one of three finalists for the Los Angeles Business Journal's Cybersecurity Lawyer of the Year recognition in 2017. She is currently an Adjunct Professor at Loyola Law School, where she is teaching EU Cybersecurity & Data Privacy Law. Represented nearly a dozen clients in litigating and/or resolving disputes under the Telephone Consumer Protection Act, including successfully defeating class certification in December 2015 on behalf of a healthcare technology company in a privacy class action in which plaintiffs sought recovery of more than $40 million for alleged unlawful transmission of faxes relating to HIPAA compliance. 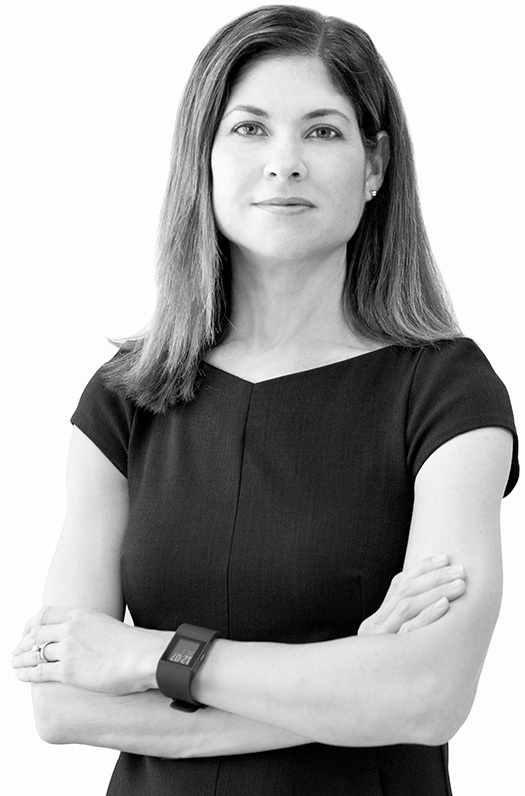 Chambers USA, IT Law Experts, Who’s Who Legal, and Super Lawyers have all praised Ms. Forsheit for her privacy, data security and technology work, and the Los Angeles Daily Journal has twice included her in its list of "Top Women Lawyers." Ms. Forsheit lectures widely on technology law topics and has been quoted on privacy and data security in publications such as the Los Angeles Times, Forbes, ComputerWorld, Venture Beat, and Law360. The International Association of Privacy Professionals (IAPP) has certified Ms. Forsheit as both an Information Privacy Professional (CIPP/US) and Privacy Technologist (CIPT). She sits on the Advisory Council of the Center for Democracy & Technology (CDT). Ms. Forsheit is a past President of the Women Lawyers Association of Los Angeles; and is a member of the American Bar Association: Science and Technology Law Section; the Los Angeles County Bar Association: Entertainment Law and Intellectual Property Section (ELIPS), Executive Committee; and the California Bar: Business Law Section, Cyberspace Committee. Prior to joining Frankfurt Kurnit, she was a partner with BakerHostetler, and a founding partner of InfoLawGroup LLP, one of the nation’s leading privacy and data security boutiques. Los Angeles Daily Journal "Top Women Litigators"
Tanya Forsheit presents “What the GDPR, the CCPA, and Other Privacy Laws Mean for the Entertainment Industry” during a panel sponsored by the Los Angeles County Bar Association’s Entertainment Law and Intellectual Property Section. Tanya Forsheit speaks on the "GDPR and Beyond: Strategies for Safer Data Management” panel during the 4A’s Decisions 20/20 forum in Washington, DC. More information here. Tanya Forsheit testifies about the California Consumer Privacy Act before the California Assembly Privacy Committee. View the agenda here and watch the hearing here. Tanya Forsheit presents “All Things Privacy” during Laserfiche’s Empower 2019 conference in Long Beach, CA. Tanya Forsheit presents "The California Consumer Privacy Act" during the CNPA Legislative Forum at the CNPA Capital conference in Sacramento, CA. Tanya Forsheit presents “U.S. Banks & Data Privacy – California, GDPR & Beyond” during a webinar for American Banker. More information here. Tanya Forsheit is a panelist on "A Review of the California Consumer Privacy Act" at the CalChamber Public Affairs Conference in Huntington Beach, California. Tanya Forsheit presents "Navigating the New Data Privacy Paradigm" at the Insights Leadership Conference in Coronado, California. More information here. Tanya Forsheit presents "I am a Lawyer: How Can I Advise on Data Security" at the International Association of Privacy Professional’s Privacy, Security, Risk 2018 program in Austin. More information can be found here. Tanya Forsheit speaks on the webinar “New California Privacy Law: Key Compliance Challenges and Guidance for Corporate Counsel.” More information can be found here. Tanya Forsheit speaks on the Practicum panel during the Cloud, Big Data and Artificial Intelligence CLE at Davis Wright Tremaine in Seattle. Tanya Forsheit speaks at the Los Angeles KnowledgeNet Chapter meeting on The General Data Protection Regulation (GDPR) which goes into effect on May 25th. Daniel M. Goldberg is a chair of the local KnowledgeNet Chapter and the moderator for the event. Tanya Forsheit is on the panel “I’m a Lawyer: How Can I Advise on Data Security Issues?” at the International Association of Privacy Professionals Global Privacy Summit in Washington, DC. Tanya Forsheit presents “Can I have a Do-Over? The Top 10 Greatest PR #Fails in Data Breach Response at the International Association of Privacy Professionals Global Privacy Summit in Washington, DC. Tanya Forsheit speaks on Privacy and Data Breach Class Actions at The National Conference on Class Actions in Montreal. More information can be found here. Tanya Forsheit presents on privacy and data security for the Association of Corporate Counsel. Tanya Forsheit speaks at IAPP's Privacy Security Risk Conference on "Don't Panic! The Hitchhikers Last Minute Guide to the GDPR Galaxy', 'I'm a Lawyer: How Can I Advise on Data Security Issues? ', and 'Women Leading Privacy and Security.' The firm sponsors the event. For more information click here. Tanya Forsheit presents at PLI’s CLE "Think Like a Lawyer, Talk Like a Geek 2017: Get Fluent in Technology." More information about the program can be found here. Tanya Forsheit and Jeremy Goldman speak at California Lawyers for the Arts' (CLA) "Online Privacy Rights" in Los Angeles. More information can be found here. Legal questions confronting in house marketing lawyers rarely elicit simple "yes" or "no" answers. (If only they did!) More often than not — to the consternation of clients working on tight deadlines — the answer is "maybe" or "it depends" or "there's a risk." How do you help your marketing clients evaluate the risks and weigh them against potential rewards? Read more. Tanya Forsheit speaks at the 2017 Cloud, Big Data, and Artificial Intelligence Conference in Seattle. More information here. Tanya Forsheit co-chairs and speaks at Practising Law Institute's Cloud Computing 2017: Key Issues and Practical Guidance in San Francisco. For more information, please click here. Terri Seligman and Tanya Forsheit present "Marketing in Augmented Reality: Pokémon Go and Treasure Hunts in The Digital Age" and Rick Kurnit participates once again on the "Tweeting With Words" panel at the 2017 ANA Advertising Law & Public Policy Conference. Tanya Forsheit speaks at "Traversing the Challenges of e-Commerce Litigation in Federal Court" for The Rutter Group. Tanya Forsheit moderates The Global Advertising Lawyers Alliance (GALA) webinar, "The Global Legal Challenges of Privacy & Data Security" at 1 PM EST. To RSVP please click here. Tanya Forsheit moderates PLI's Social Media 2017: Addressing Corporate Risks in San Francisco. More details here. Tanya Forsheit co-chairs the LA Daily Journal's Cyber Boot Camp in Los Angeles. Jeremy Goldman also speaks at this event. Read more here. Tanya Forsheit and Sean Kane speak at D.I.C.E Europe 2016 in Barcelona on privacy, big data and video game law. Tanya Forsheit testifies about the California Consumer Privacy Act before the California Assembly Privacy Committee on Wednesday, February 20. View the full hearing here. Tanya Forsheit, Daniel Goldberg and Amy Lawrence signed a letter urging the California legislature to make changes to the California Consumer Privacy Act (CCPA). The letter highlights issues with the CCPA. Read the letter here. Weather Channel Case Dilemma: When Is a Disclosure Really a Disclosure? For the fourteenth consecutive year Chambers USA America's Leading Lawyers for Business recognized Frankfurt Kurnit. Chambers USA ranked us for our: Advertising, Media & Entertainment and Intellectual Property practices. Read more. Data Security and Data Breaches: What’s A Lawyer To Do? The Daily Journal features Tanya Forsheit as one of the Top Cyber Lawyers 2018. The feature highlights Ms. Forsheit’s professional background as an attorney in the privacy and data security sector. The Capitol Forum quoted Tanya Forsheit and Daniel Goldberg's white paper on "The Impact of the ePrivacy Regulation on Facebook and Google" in their most recent newsletter here. This month we're celebrating Privacy Shield's first birthday with an update on everything Privacy Shield. There have been a number of developments on the Privacy Shield-front that companies certified or seeking self-certification under Privacy Shield need to know. Read more. On June 1, 2017, Washington State joined Illinois and Texas as the third state to pass a biometric privacy law. The law, H.B. 1493, which goes into effect July 23, 2017, covers any business entity that collects biometric identifiers for commercial purposes. Read more. In a cautionary tale for marketers, two courts recently found satellite TV provider Dish Network ("Dish") liable for repeated and willful violations of federal and state telemarketing laws. Read more. For the thirteenth consecutive year Chambers USA America's Leading Lawyers for Business recognized Frankfurt Kurnit. Chambers USA ranked us for our: Advertising: Transactional & Regulatory, Intellectual Property: Trade Mark & Copyright, Media & Entertainment: Entertainment Litigation, and Media & Entertainment: Film, Music, Television & Theater work. Read more. Start Your Engines: We Have to Deal With GDPR, What Now? Back in January, we posted about the circumstances in which your company, even if based in the US, must comply with the EU General Data Protection Regulation (GDPR), taking effect in May 2018. Here we will provide a high level checklist to help you start down the path of GDPR readiness. Read more. Looking for an easy way to keep up with the rapid-fire changes in Privacy and Data Security law? Introducing Focus on the Data — Frankfurt Kurnit's weekly insights and practical guidance on privacy and data security issues. Read more. On Tuesday, December 20, the FTC announced a settlement with digital marketing platform Turn Inc. over claims that the company deceptively tracked users across the Internet for advertising purposes. Read more. On October 27, 2016, the Federal Communications Commission (FCC) adopted an Order requiring broadband Internet service providers and all other telecommunications carriers providing telecommunications services to take greater steps to protect the privacy of their customers, including current and former subscribers and new applicants. Here's a summary of the key obligations imposed on carriers: Read more. FTC Issues Guide on How to Respond to a Data Breach, and Eleventh Circuit Questions the FTC's Interpretation of Its Section 5 Authority But Does NOT Alter the Unfairness Standard in Data Security Matters. Read more. EU-U.S. Privacy Shield passes: Now What? The New “Privacy Shield”: What Does it Mean for Your Company? This week brought important news for any company that transfers across borders, or receives cross-border transfers of, consumer or employee personally identifying data (very broadly defined). Read more. Los Angeles, CA — Frankfurt Kurnit Klein + Selz PC has added Tanya Forsheit as partner and co-chair of the firm’s Privacy and Data Security Group effective July 5, 2016. Read more. For the twelfth consecutive year Chambers USA America's Leading Lawyers for Business recognized Frankfurt Kurnit. Chambers USA ranked us for our: Advertising: Transactional & Regulatory, Intellectual Property: Trade Mark & Copyright, Media & Entertainment: Entertainment Litigation, and Media & Entertainment: Film, Music, Television & Theater work. Read more.